A generator for forums signatures and images featuring your very personal FFXIV characters! 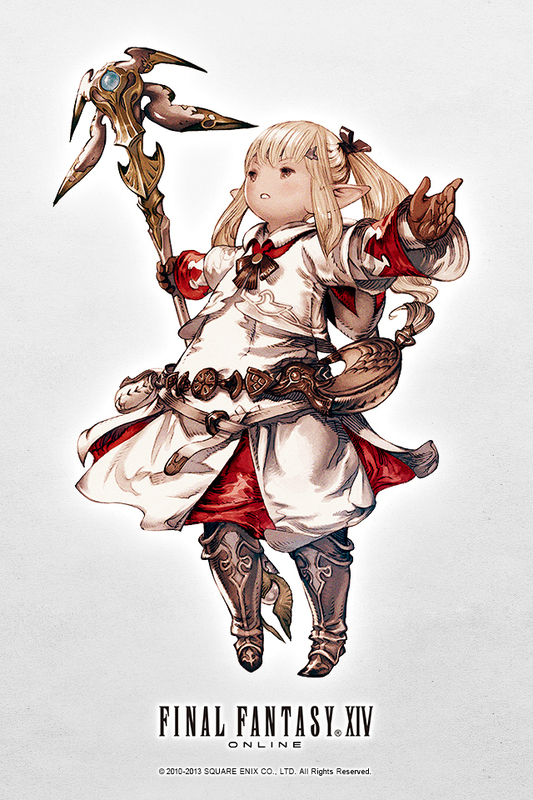 Enter the name and the server of your Final Fantasy XIV character here. 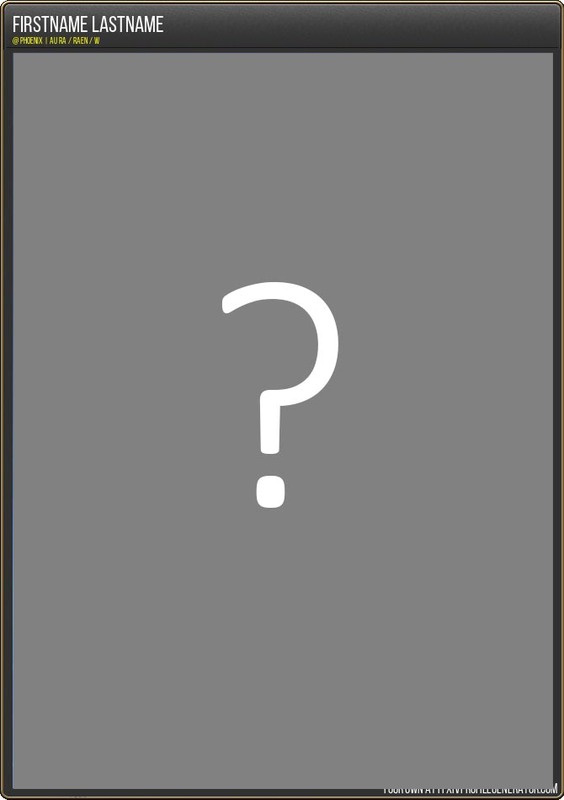 Our website will connect to the Lodestone to receive your character's data and save them to a self-updating profile picture. You will get some links for inserting them (for example) in forum signatures or do download and save them. Have fun! You do not need to enter your e-mail address. However, see the advantages! Your profile will be generated in English. If you want your profile in another language, switch languages at the top of the page. 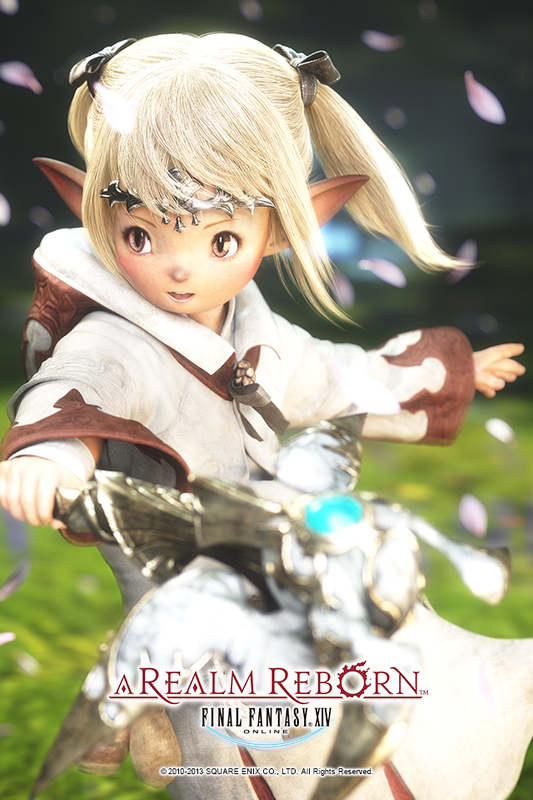 In our blog, you can find all updates and news regarding the FFXIV Profile Generator. Furthermore, we offer a FAQ area where you can ask question and where you can find your answers. We are also offering the profile gallery where you can view the last generated profiles. 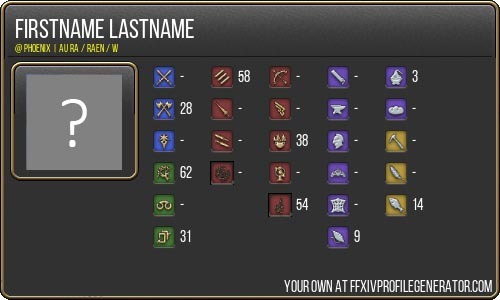 Let our site create a capture of your FFXIV character and insert it into your personal website, your forum signature and so on. The profile updates automatically on a daily basis. The link stays the same at all times! Currently, we have two different profile types available for you - for free. We planned to add further profile types in the future.